You are at:Home»General»Adopt-a-Pet.com Launches Effort To Save the Lives of Rabbits, Horses, Pigs . . .
LOS ANGELES – APRIL 2, 2009 – Adopt-a-Pet.com, North America’s largest non-profit pet adoption website, today announced the expansion of its pet adoption database to include rabbits, horses, birds, reptiles, amphibians, fish, farm-type animals and other small pets. This is in addition to the already extensive Adopt-a-Pet.com database of cats and dogs available for adoption across the nation. Every year in the U.S., over seven million adoptable cats and dogs are killed mainly due to pet overpopulation. That number doesn’t take into account the many other types of pets that are also homeless and often put to sleep. The new search database is currently up and running at Adopt-a-Pet.com. Click here to adopt a rabbit, adopt a horse, adopt a bird, or search all new species! 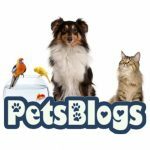 Adopt-a-Pet.com (formerly 1-800-Save-A-Pet.com) is North America’s largest non-profit pet adoption website, helping over 7,000 animal shelters, humane societies, SPCAs, pet rescue groups, and pet adoption agencies advertise their homeless pets to adopters for free. Adopt-a-Pet.com displays photos and descriptions of adoptable pets to over 1.5 million people seeking to adopt a dog or adopt a cat each month, and is funded by the passionate pet lovers at Purina and North Shore Animal League America. This is such a great idea and I’m surprised I haven’t heard about it before. 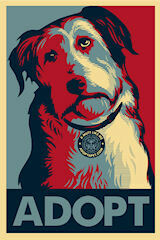 I’m working right now to incorporate this into my pet-related sites; I’m happy to help pets whenever I can!